Secret or mystery shopping is one method used to assess the quality of the customer service area and employees of a business or organization. A hired shopper is used to go through the ordinary experiences that customers encounter. Organizations that utilize mystery shoppers are those such as retail stores, food markets, banks and service organizations. Companies that conduct mystery shopping for clients use questionnaires that utilize specific categories to conduct their investigations. These questionnaires often have some basic areas in common to accomplish this assessment. These include matters such as cleanliness, organization, courtesy level, sales or service performance and cashier proficiency. When writing your own mystery shopping questionnaire, include specific, detailed questions that pertain to your particular establishment, store, business or organization. Determine what inquiries will best serve you to learn what steps should be taken to improve your company so you can make strategic decisions about the future. Avoid making the questionnaire too long as the shopper has a limited time to complete the job. 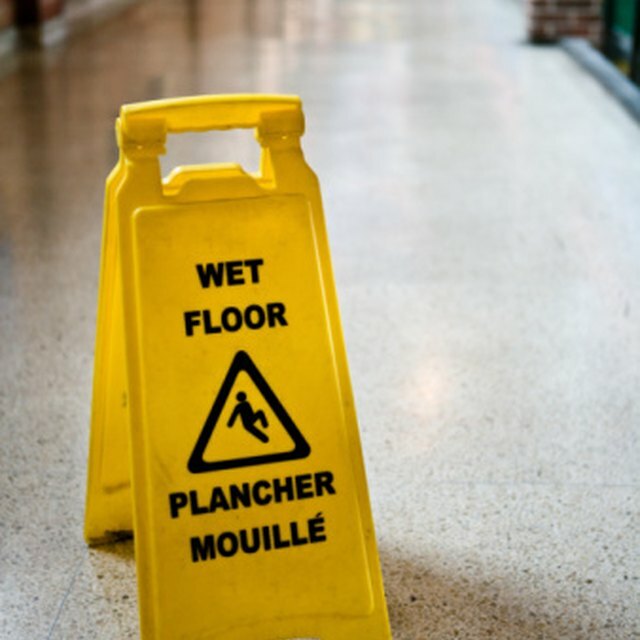 Write a question regarding the cleanliness of the parking area or lot outside your business. Include a question about the walking path to the business. Inquire if it has potholes, deep puddles when it rains or ice when it snows. Ask whether the painted lines to designate parking areas were clearly visible. The parking area is the first thing your customer will see and he will get a negative first impression of your business if the location is unsafe or cluttered with dirt and debris. Inquire in your questionnaire whether the signage for your building could be seen from the street, had any missing letters and was clean. If you have a sign that someone changes periodically, inquire if everything was spelled correctly. Assess the condition of the landscaping with a question regarding the level of care that has been given to the grounds outside your building. Find out if the trees, bushes, flowers and lawn looked healthy and attractive so that they gave a positive impression. Ask about the cleanliness of any glass doors and windows on the outside to be assured they were smudge and streak free. Determine that the building facade and the doorway were in good condition when the shopper entered. Compose a question that informs you about the initial greeting your shopper received when she entered the establishment. Find out if the customer was pleasantly greeted by all personnel who encountered the shopper whether they waited on her or not. ( See Reference 2) Learn through your questions if the personnel acted in a friendly, professional manner and were appropriately and neatly attired. Create questions to learn the condition and cleanliness of the products, aisles and shelves in your establishment. Learn how the shopper felt regarding product availability and have them assess the condition of the display areas, including the lighting, flooring and fixtures. Question regarding the condition of the restroom, including cleanliness, equipment condition and whether containers were empty or full. Inquire whether all trash receptacles were appropriately emptied. Ascertain how likely the mystery shopper would want to return to this store or organization considering only this one shopping experience. Request that the mystery shopper submits the questionnaire and a copy of the register receipt within a certain time limit in order to receive her payment. Check the grammar and spelling on your questionnaire and have another person proofread it with you. Avoid complicated requests for the mystery shopper in your questionnaire. Don't include questions or request actions that would be likely to give away the fact that the customer is a mystery shopper.